Geothermal heating taps energy sources just below the surface of the earth where the temperature is consistantly around 55 degrees Farenheight. The heating system uses pumps to move heat from the ground into your home. During the hot months, the system reverses itself and pumps in cooler air to act as a cooling system for your house. 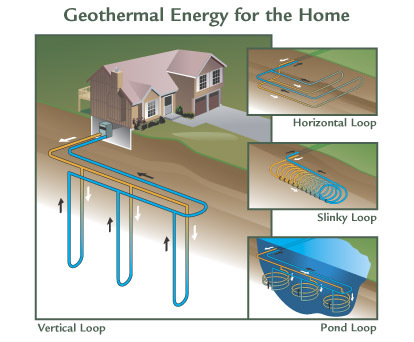 Geothermal systems create reliable energy at stable prices with minimal impact on the environment. They can also produce virtually free hot water and superior dehumidification for your home. Copyright . Daystar Builders Inc.. All rights reserved.